You may have noticed that our Home Page still has the January date and information on it. We’re not able to make changes on the page, but Nan and the developer are working on the problem. Our next General Membership Meeting will be on Thursday, February 14th at Atonement Lutheran Church. January 24th – Finishing School from 10 a.m. – 4 p.m. at Carriage House. 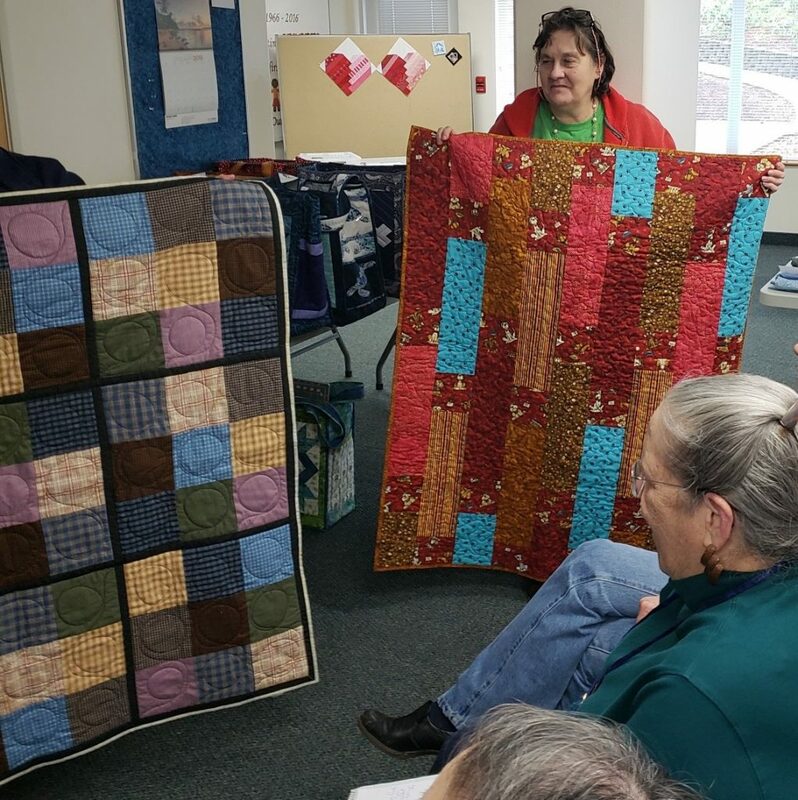 February 7th – Community Quilters from 10 a.m. – 2 p.m. at Ruth Fabric’s in Waldport. February 9th – Documentation – full. February 21st – Executive Board Meeting at 10 a.m at Carriage House. 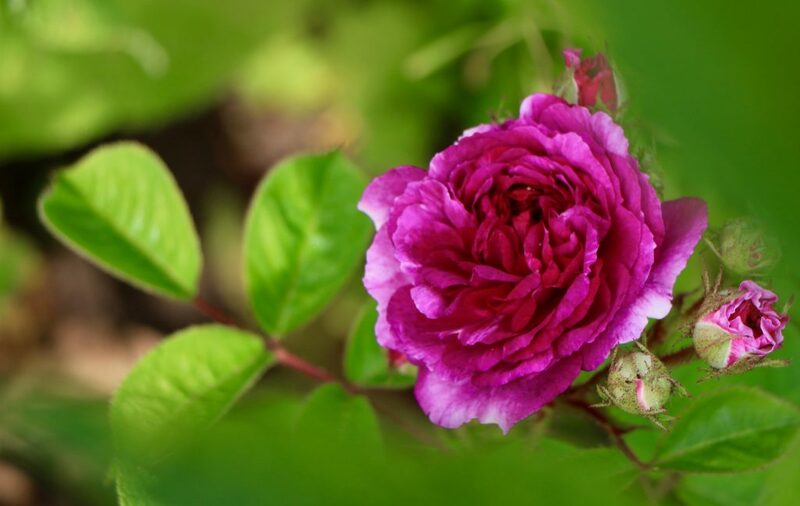 February 28th- Finishing School from 10 a.m. – 4 p.m. at Carriage House. The new notecards featuring the lighthouse and ship panels will be for sale at the guild meetings by Becky Mershon. The first printing was done incorrectly so they are for sale for 10 cards & envelopes for $2.00, the corrected reprint cards are 10 cards & envelopes for $10.00. 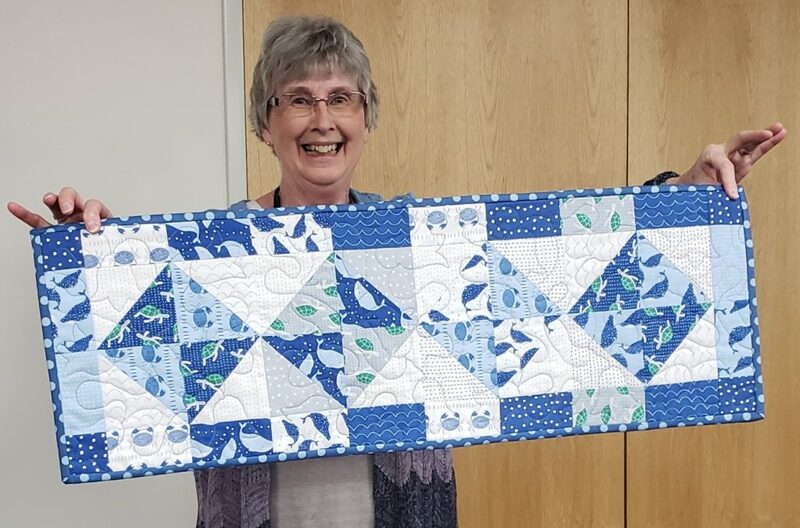 Come early to the February 14th meeting for a paper piecing/mug rug class at 12:00 noon. This year there will be some demo classes to show different techniques being used in the monthly projects. 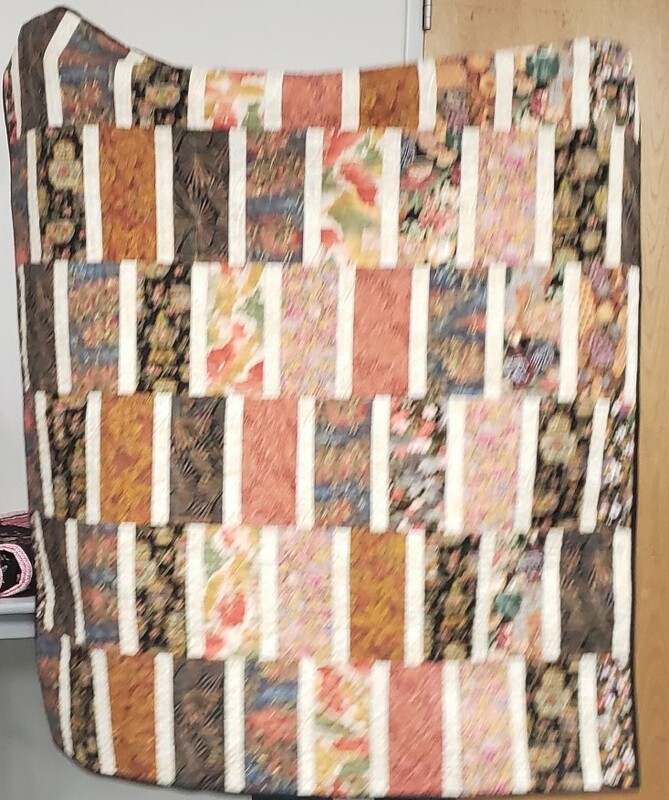 February block of the month project will be a paper pieced mug rug. 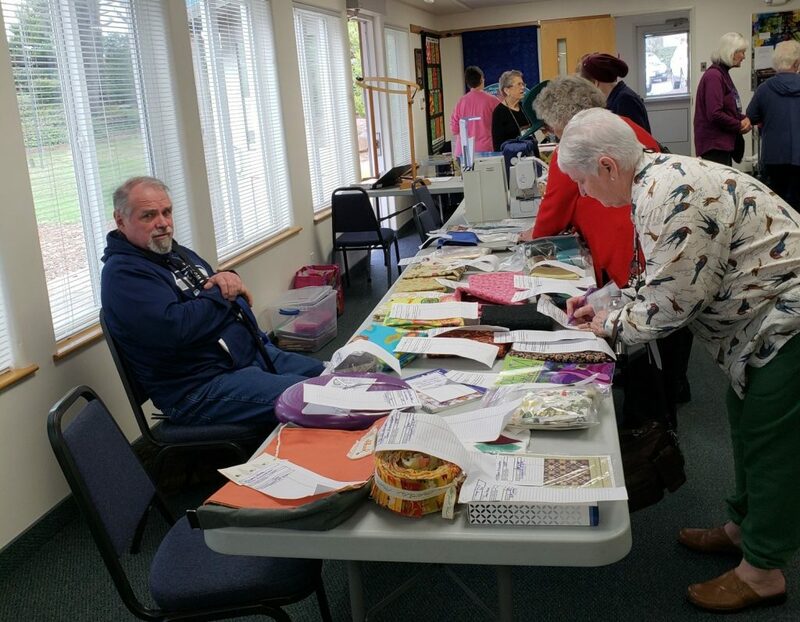 We meet every first Thursday of the month at Ruth’s Family Fabrics in Waldport from 10-2. You don’t have to bring anything. We hope to see you there! For a complete list of what we accomplished in 2018 please take a look at the January Board Meeting Minutes. The February 9th date is full. 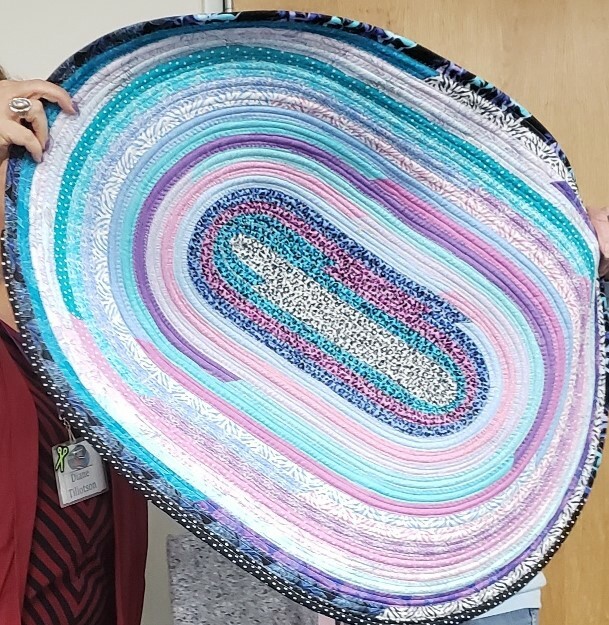 The committee will document the 2019 Raffle Quilt. Join us on February 28th from 10-4. Bring a project to work on and spend the day with friends. We currently have 165 paid members. 92 members were present at the January meeting. The deadline for paying dues and being included in the Membership Directory is January 28th. Janet DeSau is looking for committee members to help her. This is a huge job for one person to do alone. Please talk to Janet if you’d like to join her. We’ve updated the quilt show subcommittee list, using what we think is the most recent info. Progress is being made, but we need YOU to make it complete! 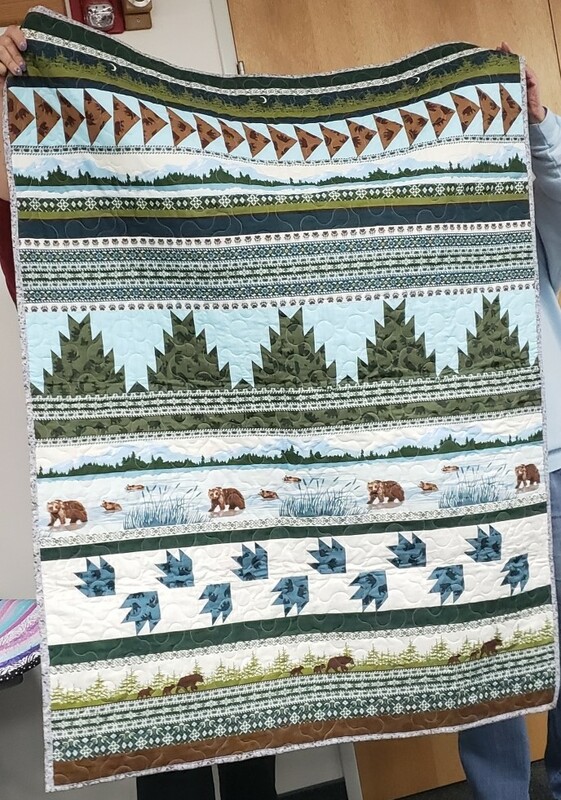 Please check “Quilt Show” under “Events” on the guild website, and see if there’s a job that would fit your time and abilities. (Don’t know what each job entails? Ask one of the show co-chairs—Jackie Stankey, Darcy de la Rosa, or Jean Amundson. Also, there are excellent instructions in the packets for almost all of the tasks.) 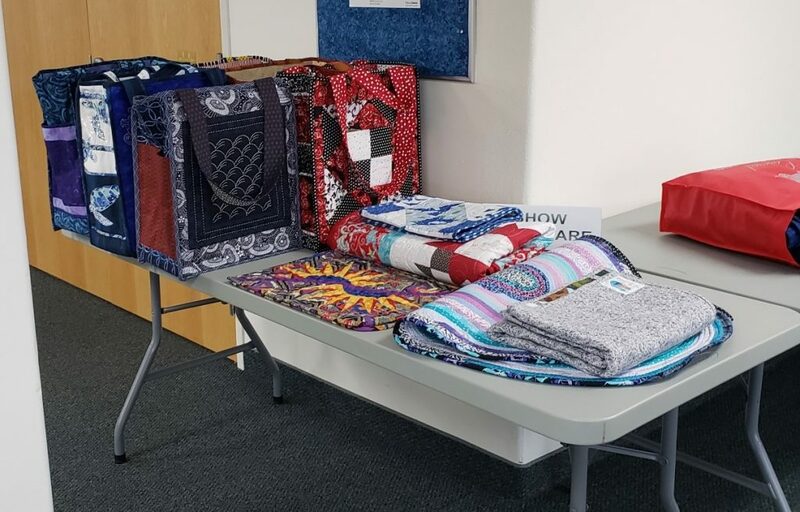 Help out and make your quilt show shine! 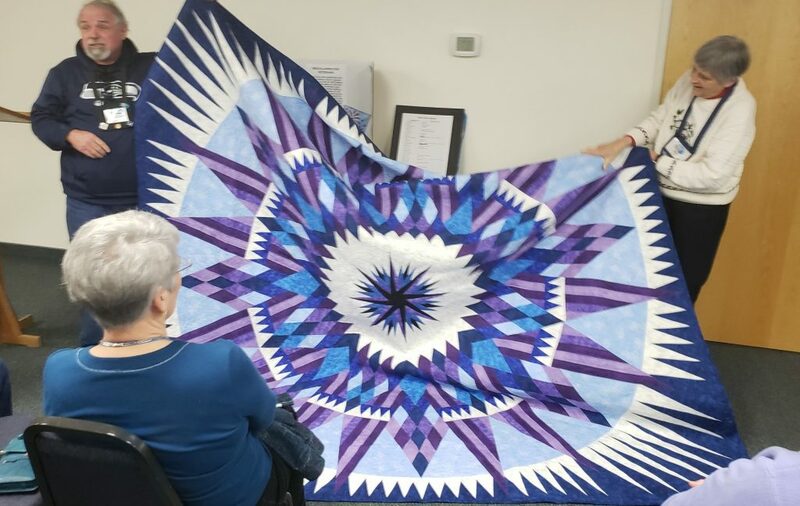 Thanks to all from the quilt show co-chairs. 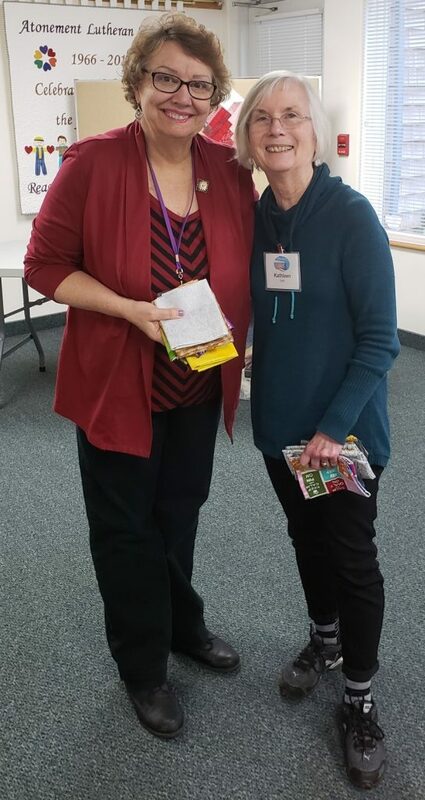 Jane Szabo will have raffle tickets and brochures to pick up at the February guild meeting. Tickets will also be on sale at the Willamette Valley Quilt Show in Albany on February 1st and 2nd. Please sell, sell, sell!! 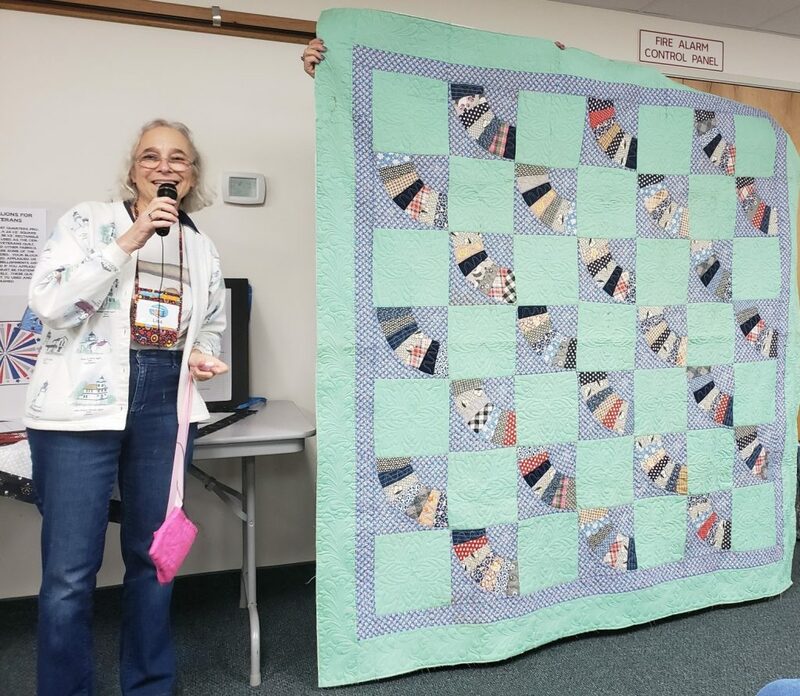 The quilt will be on display at Family Fabrics in Waldport during the Quilt Run 101 shop hop which is February 8-18. It will be displayed at the retreat too. 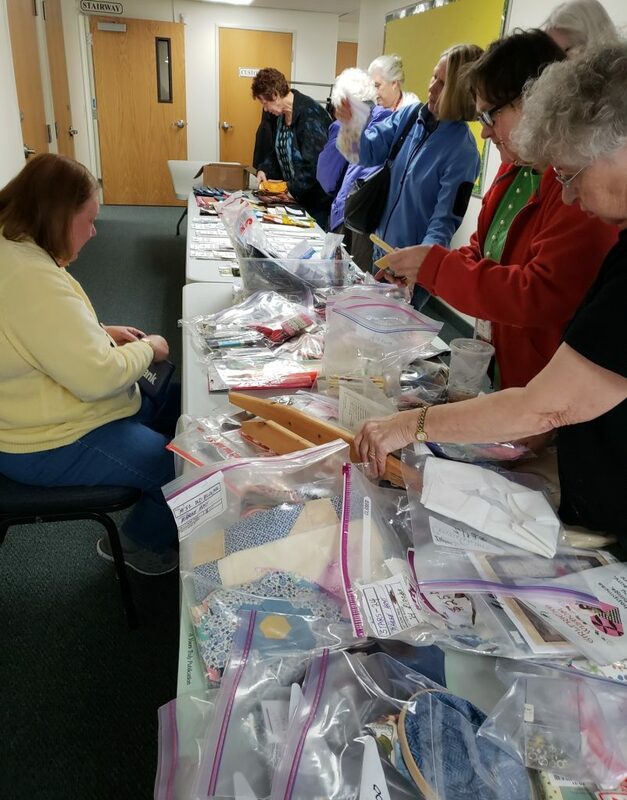 There will be a sewing party at the American Legion in April. Georgia wants to make sure that everyone going to the retreat has received an email from her. She sent them out on Jan. 19th. If you haven’t seen yours please check your spam/junk mail. Drive safe and have a wonderful time! 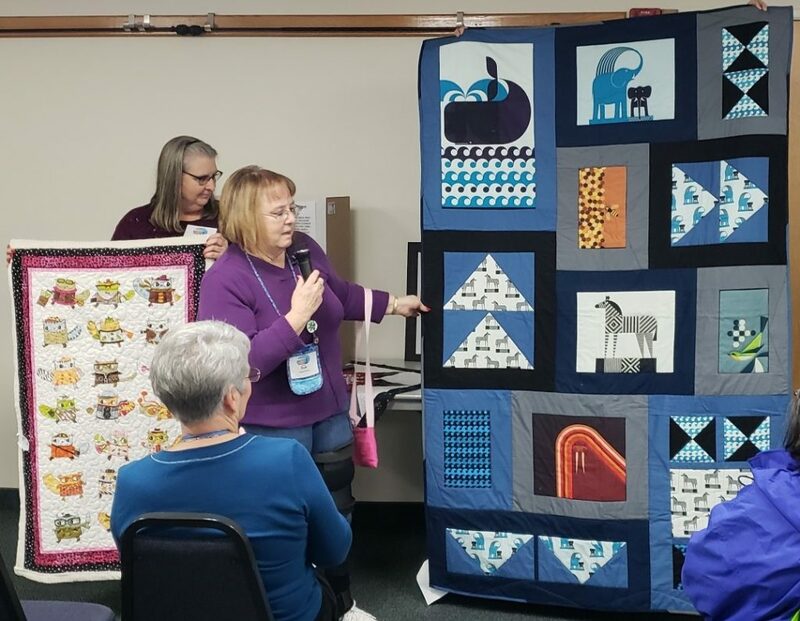 Ann Flescher, Deb Smith &Georgia Sabourin will present their concept for the 2020 quilt at the February meeting. 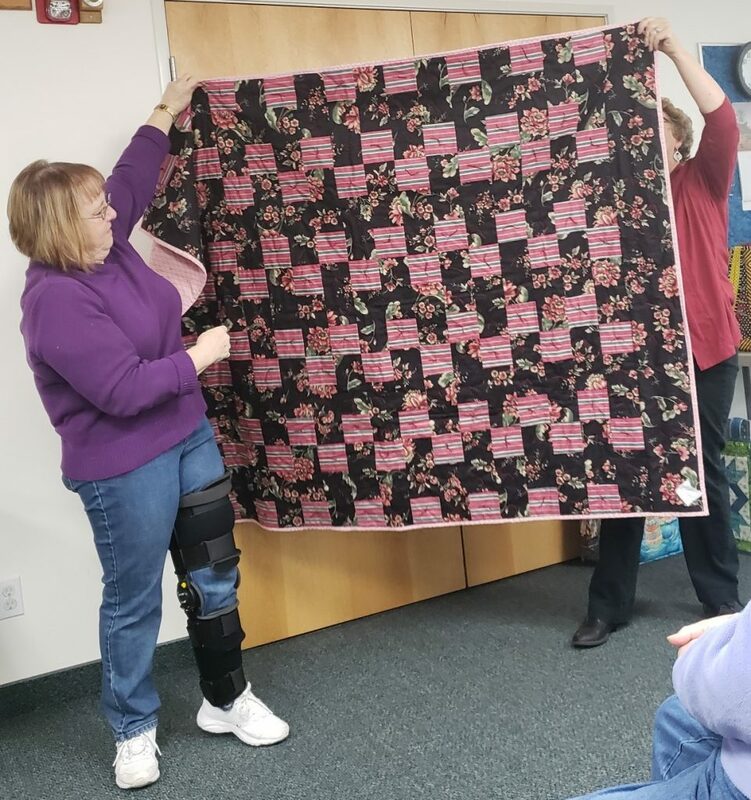 Ginger Dale reported fabric is available for the challenge quilts and encourages all guild members to participate. 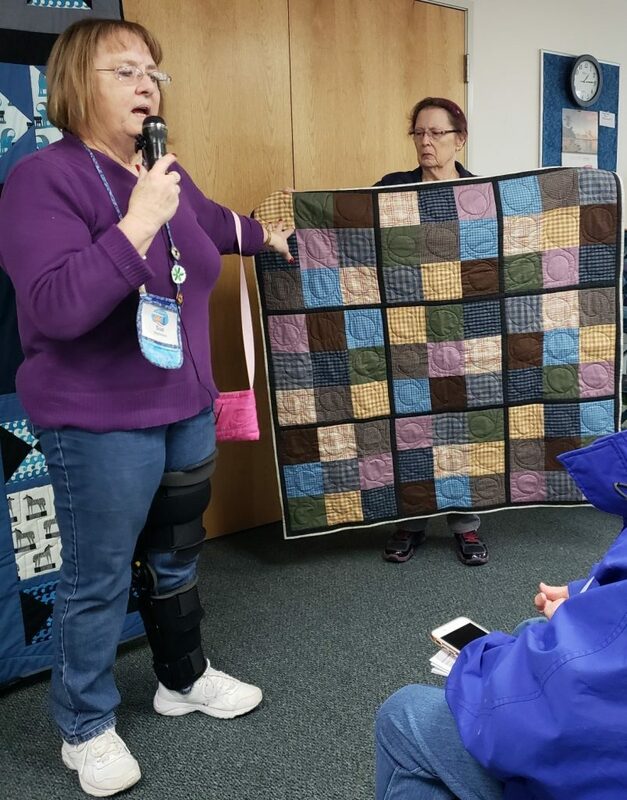 The blocks will be displayed at the quilt show and Ginger reminded everyone they do not have to be a part of the voting. Blocks can be as simple or complicated as the quilter wishes and should be 24 1/2” square or 24 x 36. Blocks can be turned in when finished and need to be in by June meeting to be included in the voting. Ginger Dale reminded everyone to sign out a packet. 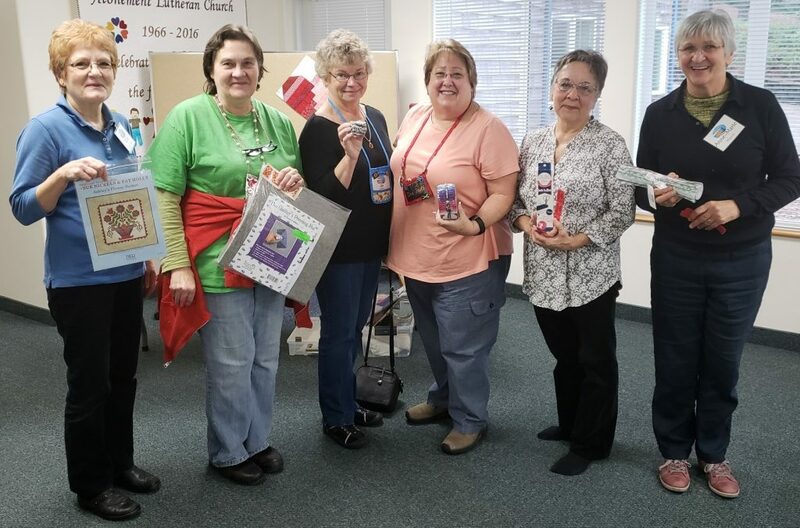 Becky, Karen, Judy, Phoebe, Liz, Phyllis, Gail and Jan shared their beautiful Billy Bags with the membership. The bags are very creative with lots of pockets with no two bags being the same. All the bags were beautiful, lots of colors and themes. 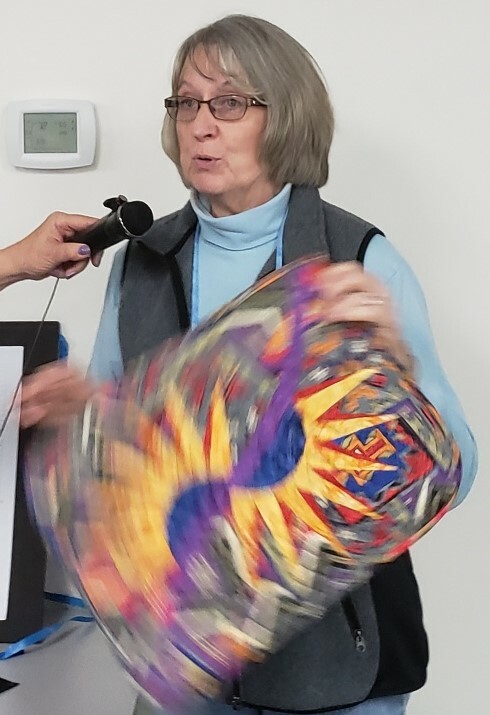 Sue Stephenson shared some Community Quilts. 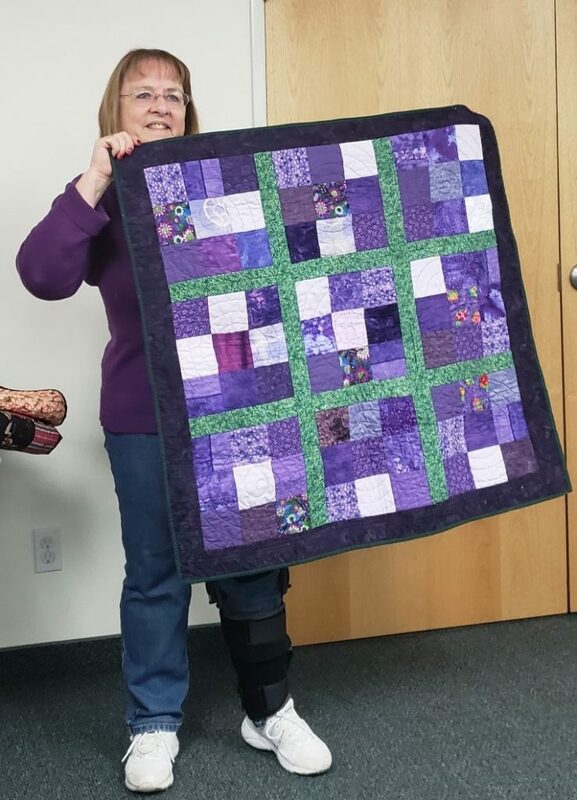 Janet Webster made a quilt in shades of purple and a quilt in brown stripes. 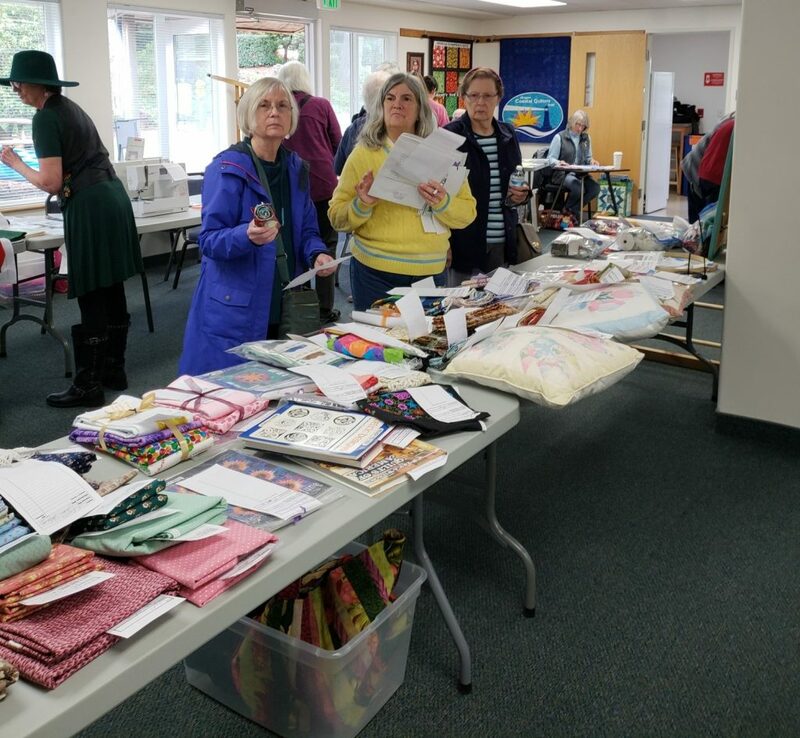 Quilters Anonymous, the largest guild in Western Washington, invites you and your members to Color Dance in Fabric & Thread, our 38th annual quilt show, featuring more than 500 quilts, 25 vendors plus demonstrations, food and quilted items for purchase. The show is Friday through Sunday, March 15-17, 2019, at the Evergreen State Fairgrounds Events Center in Monroe, WA. 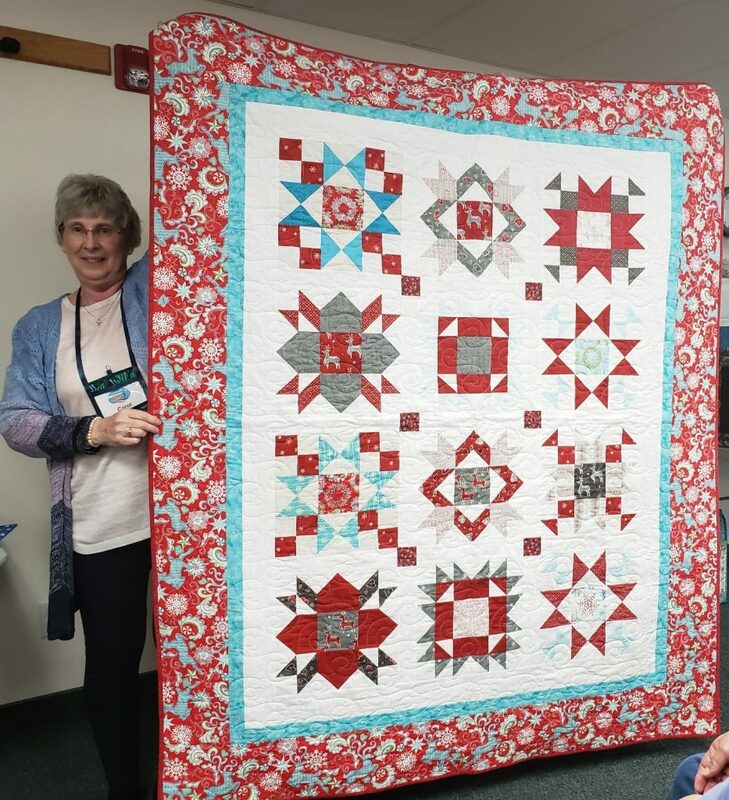 Our members’ quilts feature hand and machine quilting, applique, traditional patchwork piecing, modern quilts, art quilts and embellishments with beads and buttons. Diane Coombs, a long-time QA member, is the featured artist. Mention the show to get rooms at the Best Western in Monroe for $99 a night. A quilt show flyer is attached. We appreciate you providing information to your members, and we hope to see you at the show! Our lives are like quilts – bits and pieces, joy and sorrow, stitched with love.